Overview - The inspiring story of the team that transcended its sport and united a nation with a new feeling of hope. Based on the true story of one of the greatest moments in sports history, the tale captures a time and place where differences could be settled by games and a cold war could be put on ice. In 1980, the United States Ice Hockey team's coach, Herb Brooks, took a ragtag squad of college kids up against the legendary juggernaut from the Soviet Union at the Olympic Games. Despite the long odds, Team USA carried the pride of a nation yearning from a distraction from world events. With the world watching the team rose to the occasion, prompting broadcaster Al Michaels' now famous question, to the millions viewing at home: "Do you believe in miracles? Yes!" 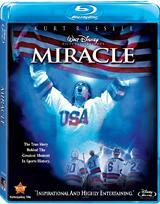 Disney's 'Miracle' is the heroic account of the 1980 US men's hockey team's miraculous run through the Olympics, passing by the unbeatable Russian team, and skating all the way to the gold medal. In a time of lingering Cold War sentiment, it wasn't just a special win for US hockey, but a victory for the nation as a whole. It brought together a country and touched the world. Kurt Russell stars as stoic US men's coach, Herb Brooks. He's a tough, unflinching man who at the beginning doesn't seem to have an ounce of kindness in him. "If you're looking for a friend, don't look here," he says to his would-be players. His job is to whip a bunch of college-aged hockey players into an Olympic ready team fit to take on the seemingly invincible Russians. Before tryouts have even started Brooks has his team picked out. This doesn't go over well with the higher-ups, but Brooks is adamant that this is the team for him. No overtly flashy players, no hot-shots, just a group of young men that play good hockey and are willing to be taught on how to play as a team. 'Miracle' follows the same formula as many sports films, but there's something different about it. Maybe it's the actual impact this event had on the country and world, or maybe it's just because director Gavin O'Connor really knows how to direct a sports film. Most of the film's focus is on Herb Brooks. We meet some of the players, but never really get to know them, or get into their personal lives. All we really know of them is how they interact with their team and coach Brooks. Where other such films might focus on one or two players and highlight their personal struggles, I liked the way 'Miracle' approached things a little differently. It didn't spotlight any of the characters, instead we only know them as a team. "A few years later, the U.S. began using professional athletes at the Games - Dream Teams. I always found that term ironic because now that we have Dream Teams, we seldom ever get to dream." To the untrained high-definition viewer, the 1080p MPEG-4 AVC encoded transfer of 'Miracle' may not seem as clear or crisp as other Blu-rays. It's true that the film does have a softer focus, making the details a little less sharp, but that's a stylistic choice. The softer focus gives it that late 70s early 80s feel, much like the effect the TV show 'Swingtown' uses. Yet even with the soft focus, textures and patterns still turn out beautifully. A lot of plaid is worn in 'Miracle,' mostly by coach Brooks, and as hideous as plaid can look sometimes, it still bursts from the screen perfectly defined, reminding us exactly what time period we're watching. Other details that would never be noticed on the standard definition version are the minute jersey holes on the players' jerseys. In standard definition those tiny holes create terribly annoying aliasing lines, but here they're distinct and clear, even when the players move around. Or take a look at a corduroy jacket coach Brooks wears. (Editor's Note: The man was stylin'!) It's like you could reach out and feel the ridges. There were a few times when grain was a bit heavy on lighter backgrounds, but overall, it was kept to a minimum. Skin tones seemed consistent for everyone except Noah Emmerich, for some reason his skin always appeared pale and washed out. Shadow delineation does waver a bit during night scenes, but it's not terribly distracting. I didn't catch any compression artifacts or source noise at all. Overall this is another fantastic catalogue offer from Disney. They really do take their time with these releases to make them look good. Hockey films hold the potential for stunningly cool sound - pucks being slapped by hockey sticks, ice skates cutting through the ice, crowds screaming, and bodies banging into the boards. 'Miracle' has all of those great elements, and they're all amplified with a fantastic DTS-HD Master Audio 5.1 surround track that makes you feel as if you're right there. The sound in 'Miracle' sounds so amazing, yet so real and organic. There's a special feature that talks about how they got all the different hockey related sounds, and then you realize the amount of work the crew went through to get authentic sounds. The dialogue is presented clean and clear through the front channels. The bass rumbles on big hits, and when the crowd roars to life. The surround channels capture perfectly the feeling of being in a hockey rink watching a game. Even Al Michaels lends his voice for a voiceover calling out the play-by-play. The voiceover comes out clear and concise through the center channel, but at times is muffled by the boisterous crowd. There were scenes in which it seemed the volume changed a few decibels, making one conversation seem quite a bit louder than the last, but this is a minor nitpick. Overall, this another solid offering from Disney in the sound department. There's nothing here that really distracted from the overall pleasure of the film. It adds dimensionality, and feeling to an already emotional roller coaster. There is a wealth of special features on this disc, but there's nothing new for the Blu-ray release. It's the same standard definition features that you can find on the Special Edition DVD released in 2004. Audio Commentary - Director Gavin O'Connor, and cinematographer Dan Stoloff, and editor John Gilroy, sit down to discuss the casting and shooting of the film. They spend quite a lot of time talking about the difficulties inherent in filming hockey. 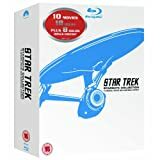 It's a nice chat, but it would've been nice to see some of the actors, or maybe even Russell, make an appearance for a new commentary for this Blu-ray. From Hockey to Hollywood (SD, 28 min) - Unlike the film that focuses mostly on Russell's character and his acting, this feature shows us the behind-the-scenes casting of the mostly unknown actors that tried out for the roles of the players. There are even a few scenes with the actor standing and talking with the person he's portraying. Some interesting tidbits, like the fact that the actor portraying Buzz Schneider is actually Schneider's son. It's a nice supplement that really shows the hard work these kids had to go through to get these parts and then get ready to act like actual hockey players. The Making of 'Miracle' (SD, 18 min) - While mainly a feature that bestows congratulations on everyone involved, it's still able to give us some useful and interesting information. The information on the steps they had to go through for filming the hockey sequences was fun and informative to know. ESPN Roundtable (SD, 41 min) - With host Linda Cohn, Kurt Russell joins real-life players for a chat about the film. Mike Eruzione, Jim Craig, and Buzz Schneider are all present. Sure anyone can see that this is a promotional bit done for the film. I mean it was done by ESPN and Disney owns ESPN, but it's still a pretty informative feature, and is provided a length that gives everyone a chance to talk. First Impressions (SD, 21 min) - This is by far one of the best features. It's a video with the real coach Brooks talking to the makers of 'Miracle.' As stated at the end of the movie, coach Brooks died before they could finish principle photography, so this feature bears some special significance. He knew a movie was being made about his and his team's story, but he never lived to see it. The video footage is a bit raw and very old looking, but it's full of some great information and insight from the man who made this whole thing possible. The Sound of Miracle (SD, 11 min) - In the sound section I mentioned a special feature that delves into how the sound for 'Miracle' was captured. In just 11 minutes this feature breaks down a shot isolating each and every sound and explaining how they got those sounds. Tiny microphones on players and implanted into skates are some of the techniques they used. A fascinating look at exactly how the sound is done. After watching the amount of work these people put into this movie, you realize why the HD Master Audio is so good. Outtakes (SD 5 min) - Some are funny, but most are outtakes that would be funny to the actors and people involved and not necessarily to the audience. 'Miracle' is a grand sports spectacle that documents one of the finest moments in American sports. A group of young David's took on the world's Goliath and won. It's a true to form underdog story that brought the nation together. With a transfer and soundtrack as great as this, as well as some pretty spiffy supplements to boot, 'Miracle' comes very highly recommended on Blu-ray. All disc reviews at High-Def DVD Digest are completed using the best consumer HD home theater products currently on the market. More about our gear.